Restricted Registration - will open Saturday, January 9, 2016 at 10 am. 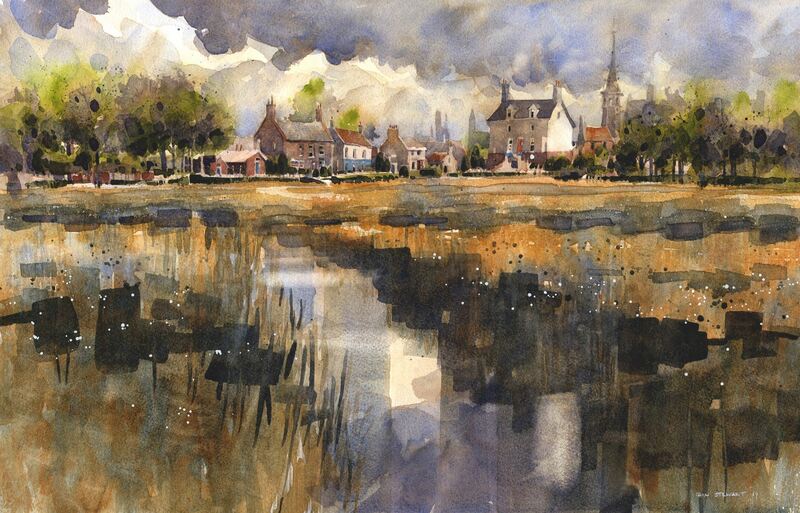 The Baltimore Watercolor Society is excited to feature watercolor landscape artist, Iain Stewart, NWS, in a four-day watercolor workshop where he will introduce BWS watercolorists to his approach to interpreting the urban and rural landscapes. The workshop will begin Tuesday, October 25, 2016 and continue through Friday, October 28, 2016 at the Hawthorn Center in Columbia, MD. Explore the medium of watercolor in a relaxing and creative environment. 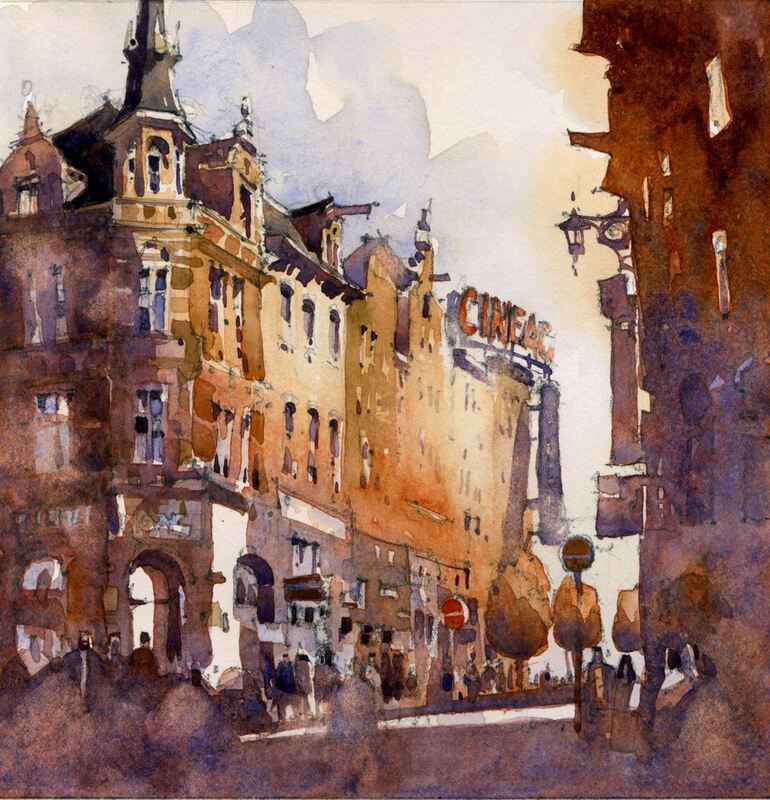 Award winning watercolorist, Iain Stewart’s, sole focus will be bringing your creativity to light and aiding you in dispelling the myths of the difficulties of painting in this wonderful medium. Given the right encouragement and understanding of the basic fundamentals, watercolor is a creative outlet unmatched in its ease of use, cost of materials, and pure enjoyment of artistic expression. Through demonstration, careful critique, and lessons learned over a long painting career Iain will help you understand how to prepare for and anticipate the challenges that painting in watercolor presents. By guiding you through his process which relies on simplification of subject through sketching, graphite value studies, and preliminary color studies Iain will demonstrate how to create a road map, that if followed, will greatly improve your painting. This workshop is intended to provide you with an understanding of how to paint in watercolor while avoiding common mistakes by creating a step by step road map that you can use for painting any subject. Students will follow Iain in a group demonstration. Painters of more experience can work from their own photographs with individual guidance. The class setting is very relaxed and accommodating to all. A supplies list and instructions for preparing for this workshop will be sent to those registering about one month in advance of the workshop. 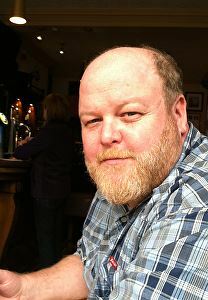 Iain Stewart is a watercolor artist and illustrator and a signature member of the National Watercolor Society. His work has received numerous awards in international competition, and he is a sought after juror and workshop instructor. He is also an architectural illustrator with an international clientele. Iain maintains a studio in Opelika, Alabama. The price for the workshop is $450 for BWS members (Signature Artists and Associates) and $525 for non-BWS members. The class size is limited to 20 people, and the workshop cannot be split with another person. Because of high demand for workshops and to better serve the entire BWS membership body, the BWS board features three RESTRICTED four-day workshops each year. Members may register for only one RESTRICTED workshop each calendar year. This workshop with Iain Stewart is a "restricted" workshop, meaning that if you register for this workshop you will not be able to also register for either the Joyce Hicks or Soon Warren workshops being held during 2016. BWS adds names to the waiting list according to the date and time the BWS Workshop Chair receives the email request. You can join the waiting list if a workshop is filled. You can also join the waiting list beginning on January 9 if you registered for one of the other restricted workshops but would like to attend an additional workshop if space is available. You can't join a waiting list before registration opens. Email Sabine Yeager: yeagerv@comcast.net to join a workshop waiting list. Paid registrants who cancel on or before September 30, 2016 will receive a full refund less a $25 cancellation fee if the spot can be filled from the waiting list. If the spot cannot be filled, the amount refundable is 80% of the workshop price. Paid registrants who cancel after September 30, 2016 will receive a full refund less a $50 cancellation fee if the spot can be filled from the waiting list. If the spot cannot be filled, no refund will be given. In the event of inclement weather, the workshop will still be held unless the Hawthorn Center is unable to open or the workshop artist is unable to travel. If BWS cancels the workshop, then all paid registrants will receive a full pro-rata refund for those days that were cancelled. Check this website for changes, updates and new information.